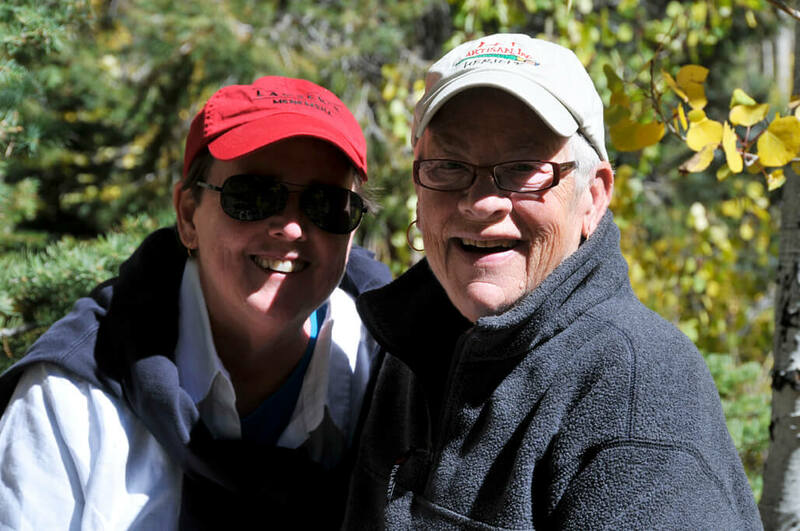 Here we are among the aspens in the high desert mountains above Santa Fe…what an amazing week of adventures. No time now to sort through those couple thousand shots, as we regroup and repack for MV. We leave tomorrow to settle in to the relaxing pace of island time for a few weeks to catch our newlywed breath and to let the creative muses be re-nourished. I hope to return to the studio, and this blog, in November with fresh ideas and images so I bid you all an autumn full of changing leaves, cool days and warm apple pies…and colorful yarn passing over rapidly clicking knitting needles. Posted in: Musings, Where's YOUR hat been lately?